I've posted about our kitchen dance parties in the past but it's been a while since I've brought up any of our favorite artists. Jim Cosgrove is a favorite and his new CD Swimming in Noodles is the best! So many foodie songs. I like Cookie Time and Spaghetti & Goofballs, they're prefect for crazy dances. 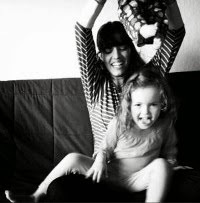 Do you like to dance crazy in your kitchen? 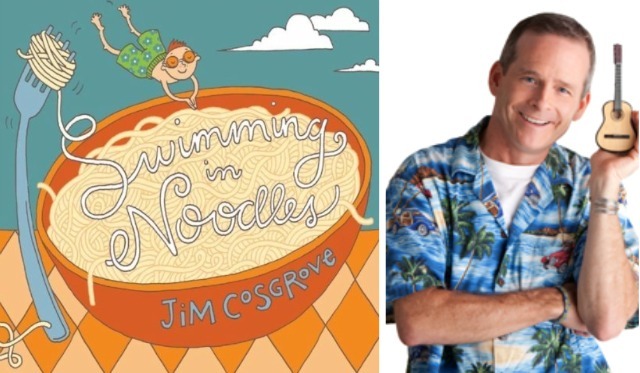 Today I'm giving away Jim's new Swimming in Noodles CD to a lucky reader but only if you pinky-promise to give it to a little foodie in your life. It can be for your kids or a neighbor, a nephew or a niece. Kids enjoy music and they really enjoy silly songs about food. We need to foster a new generation of wild kitchen dancers, don't you think? To Enter: You have to be a Kitchen Corners follower. The follow button is in the bottom of the blog. If you're already a follower leave a comment saying hi. If you're a new follower leave a comment introducing yourself and if you have a blog and would like to leave your url please do so. I enjoy meeting my readers! Please make sure your comments link back to an e-mail address so I can contact you. +1 more comment: You can get more entries by subscribing via RSS or e-mail to Kitchen Corner's feeds. Giveaway closes: Midnight PST Thursday November 4th. The winner will be contacted via e-mail and announced next Friday. Have a fun fun fun weekend binging on candy. If you need some motivation to kick off a solo dance party in your kitchen start with this it's so appropriate (o.k fine, maybe not so much for kids) for this time of year and it's truly my all time favorite song to dance to when I need to unwind. Good times. post-edit: Heidi is the lucky winner. I hope her family enjoys it! I pinky promise to give this cd to my son so he can grow up kitchen dancing. and I just "liked" you on facebook! This sounds like a great gift for my grandchildren. I pinky promise to give it to them and I pinky promise to dance and sing with them forever. Oh, this is awesome. THanks for the chance to win! I am a follower and have 2 little foodies in training that would love this CD! Hi I am Dianna a new follower. I am looking forward to lots of interesting posts!